One of the most popular of the public buildings in Newark is the Free Public Library, which cost $1,500,000. It is a large handsome structure, so situated that it may be reached easily from any part of the city, and to it hundreds of readers, seeking literary pleasure or printed knowledge go every week. The Library is under the direction of a Board of Trustees, of which the Mayor of the city is president. Its direct management is in charge of a librarian, who is assisted by a large staff of capable and courteous department heads and employees. The total number of books in the art, technical, lending, school, and young p0eople's departments is 196,840. Last year (1911) the total number of volumes loaned to cardholders was more than 1,000,000. Seven branches of the library and sixteen deposit station, where books may be borrowed or returned, are located in different parts of the city. In the library proper, where adults and young folks in search of books or information are shown every possible courtesy and given all the assistance they desire, are well-equipped reading and reference rooms and halls, in which from time to time art exhibits are held. Under certain conditions these rooms are also placed at the disposal of organizations, who wish to use them for meetings. 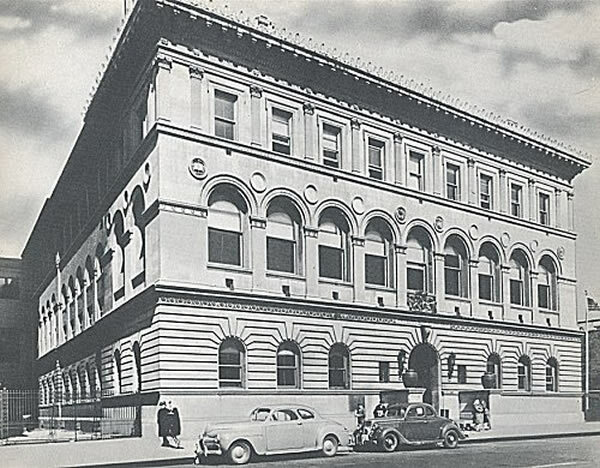 The Free Public Library of the City of Newark is housed in the elegant new building at Washington and Broad Streets. This beneficent and flourishing institution was brought into existence by an act of the State Legislature in the beginning of 1889. The artistic details of the library building both inside and out are extremely beautiful and chaste in their architectural features and general arrangement. The library is steadily growing in its number of books and its patronage.